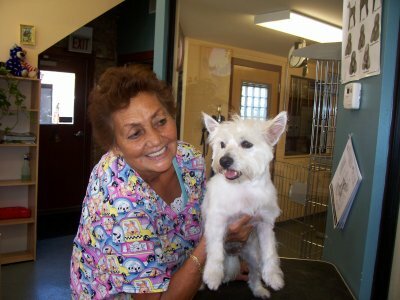 Welcome to Happy Pets Boarding & Grooming! 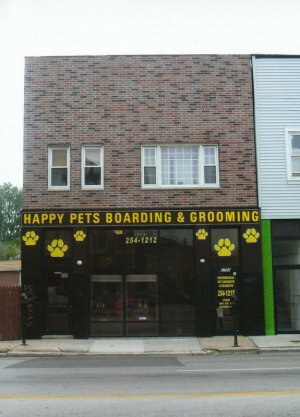 Housed for your convenience and immediately adjacent to Brighton Park Animal Hospital is our State-of-the-Art Professional Boarding & Grooming facility offering the latest in sanitation, temperature control, and pet-styling techniques. At Happy Pets Boarding & Grooming dogs are kept in spacious 4'x7' large pet kennels separate and sealed from adjacent kennels in order to prevent any cross-contamination of any disease from pet to pet. 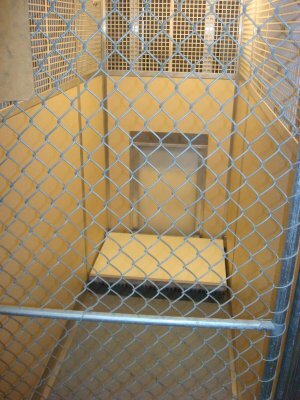 We will also decorate this spacious kennel with toys and beds or blankets you bring from home for your beloved friend. Also, we encourage you to bring their favorite brand of food with the mentioned items so they may feel at home away from home. Before a pet is accepted to Happy Pets Boarding & Grooming, a complete physical exam is performed and upon admittance we will apply one application of Frontline Plus™ in order to treat & prevent any flea infestation. Conveniently located near Western Ave. & Archer Ave, one block West of Western Ave. on the corner of Archer & Artesian. We have an ample parking lot and a drive up to door drive-way for your convenience when needed.